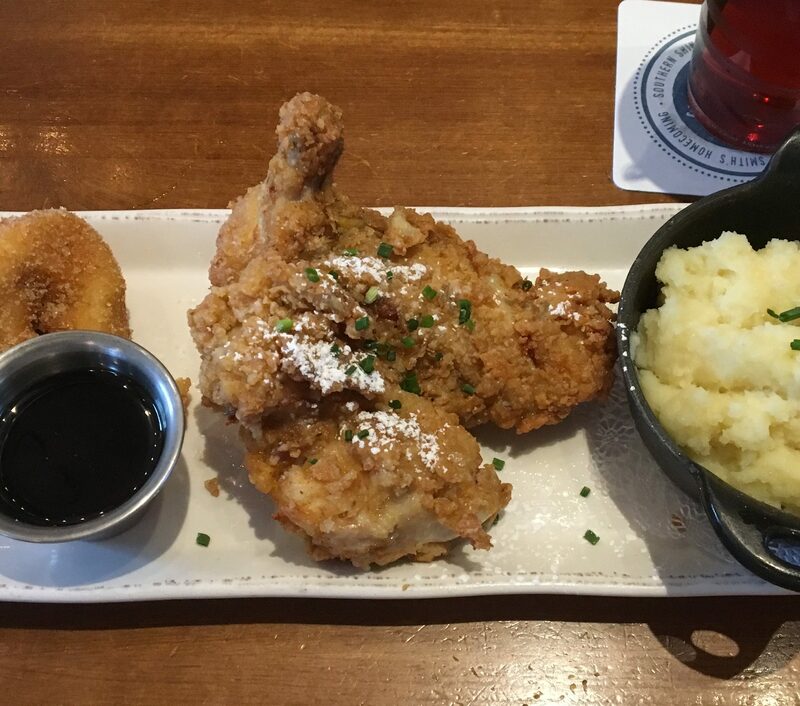 This is our recreation of the fantastic fried chicken from Art Smith's Homecomin' restaurant at Walt Disney World's Disney Springs! I use 2 2-1/2 Gallon Ziploc bags you will need 1 bag per chicken (10 pieces). You can also use an extra-large pot if you would like. Dissolve salt in the water in a pot then add the peppercorns, thyme, rosemary, bay leaves, and garlic. Put the chicken in the brine, in either the pot or in Ziploc bags. Place the brining chicken into the refrigerator for a minimum of 12 hours. Remove the chicken from the brine and place it in a large bowl (or a couple Ziploc bags) with the buttermilk. Marinate the chicken and buttermilk in the refrigerator for at least 4 hours. In a large bowl or 16 x 9 pan add both the all-purpose and self-rising flour, paprika, onion, garlic, and cayenne powder, thyme, and salt. Remove the chicken from the buttermilk and place it in the egg wash and coat the chicken evenly. Remove the chicken from the egg wash 1-2 pieces at a time and roll in the flour mixture so it is covered, then shake off any excess flour placing on a wire rack. When all of the chicken is ready to be fried, heat one inch of oil in a deep cast iron pan to 325ºF. Carefully turn the chicken with long tongs every few minutes until the internal temperature of the chicken is 165-180ºF. Place cooked chicken on a clean wire rack or paper towels to allow oil to drain from chicken. Do not be afraid to finish the chicken in a preheated 350ºF oven for 10 minutes or so to make sure the chicken is cooked all the way through. If you prefer not to use bone-in pieces of chicken, I have used this recipe for chicken breasts and tenders with great success!